Simon’s is the Chief Creative + Strategy Officer at H+K. His role is to lead the first ‘Global Centre of Creative Strategy’ and take responsibility for the strategic and creative output of the agency. The ‘Center of Creative Strategy’ is a global initiative; its purpose is to unify the offices and transform the H+K network into a communications agency ready to address the challenges clients face in the accelerating, disrupted and changing world. Through the 'breath and depth' strategy H+K has developed a more strategic business consultancy offer and a broader set of communication products and services that has led to significant growth and a constantly developing set of creative + communication services. In 2016, H+K launched break-though multi-channel brand eco-systems for Honor, Huawei and Envision. We delivered programmes of communications through traditional advertising and OOH and well as innovations in real-time brand newsrooms and communications. Much of Simon's time at H+K is spend working on international clients and Simon spends a considerable amount of time in China working with Huawei, Honor and Envision on brand strategy and IMC campaigns. Our awarded new products and services, such as Sherlock+, are transforming the way the agency uses data and insight to iterate communication campaigns in real time leading the agile communications always in beta. In 2017 we will be launching outreach creative and innovation hubs in strategic international locations. We will start with Shanghai and these hubs will support our network of 87 existing offices. 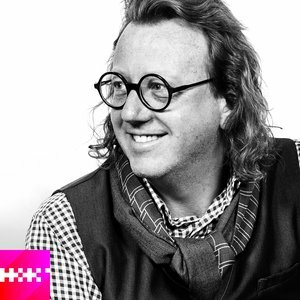 Prior to H+K, Simon was Global Brand Director and Creative Director at Exposure and was responsible for the creative and strategic leadership on clients such as Heineken International, Coca-Cola, Triumph International, De Beers, Hunter and Save the Children. Simon is also an awarded architect and founding partner of the award winning CiCi-CoCo Kitchen and Cookery School.